This book is an effort to describe and analyze the reasons why women seek maintenance from their estranged husbands under 125CrPC. Despite the changing development paradigm in India, which is redefining gender roles making women more visible in the economic arena as well as in certain positions of power, a large number of women continue to depend on men for sustenance and survival. The cultural construct of women being dependent needing protection and as symbols of honor of their families and community continue to haunt them throughout their life. While violence against women is one part of the increasing patriarchy in society, on the other hand the dependency of women continues to be another reality reinforced by socio-cultural norms and traditions. In India, within its diverse population, women’s experiences of childhood, adolescence and marriage follow complex patterns. 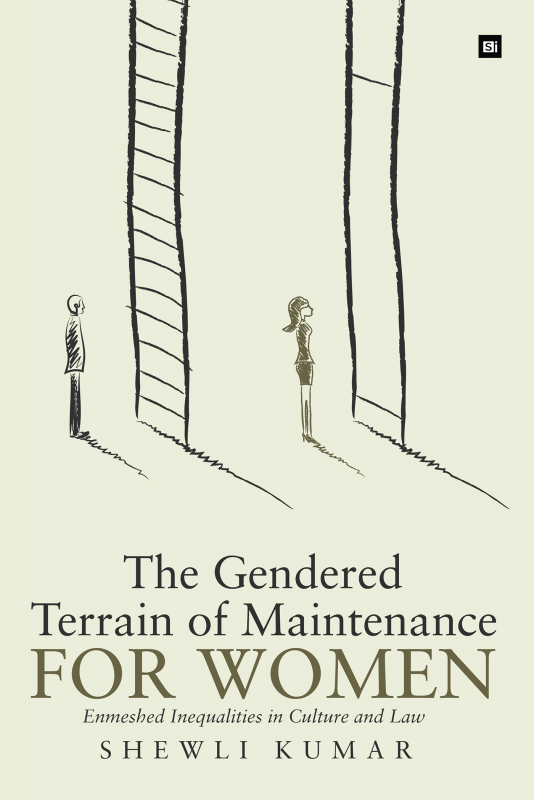 This book explores the 125 CrPC, a common law for maintenance, which is one legal measure that women use to find a way out of destitution and get financial relief when a marriage ends. It makes an effort to locate the real life experiences of women in Delhi, who are seeking maintenance, the diversities in these experiences and explains the varied reasons as to why they need to do so. It also looks into why and how they reached the dependent status and what their experiences are while litigating for maintenance in the courts. It unravels the trials that they go through to prove their wifehood as chaste, obedient and pure so they may be granted maintenance and this is significantly highlighted in the book. Shewli Kumar has an M.Phil., Ph.D. from the Department of Social Work, University of Delhi. She is a professionally-trained social worker. Apart from being an academician, she has nearly 20 years of experience in the field of feminist social work. At present, she is an Associate Professor at the School of Social Work, Tata Institute of Social Sciences, Mumbai. Gender has been an on-going theme in all spheres of her work, with specific focus on human rights for women. As an academician, teaching has uniquely equipped her to understand how young minds work and what their training needs are. Another facet of her professional life is her experience of working directly with communities (rural and urban), mobilization and campaigns for causes at local, national and international levels. Such work has enabled her to develop a strong understanding of development, based on human rights, and their relevance in the lives of marginalised communities in diverse contexts, with specific focus on gender, caste, class, ethnicity and religion. She has presented several papers on various platforms, and has published articles with national and international journals.